While many people have not heard of Greeley, Colorado, located southeast of Fort Collins, even a short visit there makes you aware of this city’s capabilities. The museum touts it as having a small town attitude, but the amenities there are definitely big time. Make this your first stop. 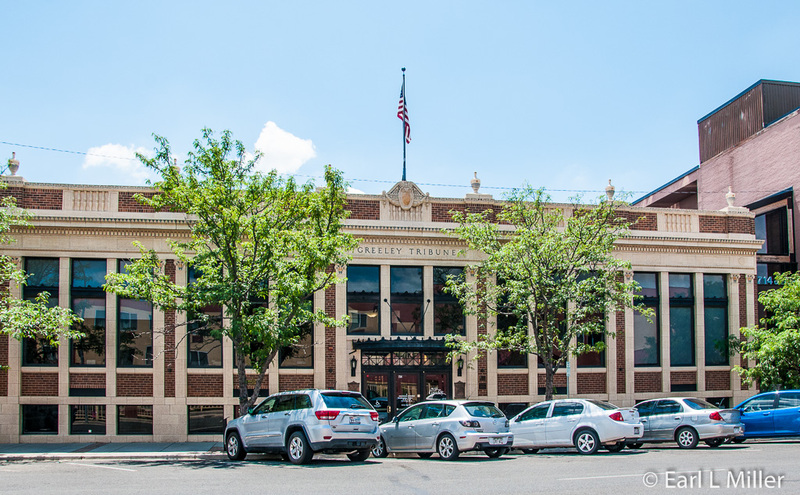 It’s housed in a 1929 building, formerly the Greeley Tribune’s newspaper offices until 1986. This quality museum, which started in 2005, provides general information about Greeley and insight into a fascinating history in chronological order. If you intend to read everything, a visit to this one-floor museum can take from one to two hours. I suspected the main industry of Greeley was agriculture, based on the number of large fields I spotted driving in from Fort Collins. But I was amazed to find that Weld County, where you’ll find Greeley, is one of the top ten agricultural counties in the United States. Agriculture adds $4 billion to the economy with its production of grains, sugar beets, livestock, and greenhouse plants. They also grow grain corn, silage corn, cabbage, onions, beans, kale, and potatoes. Raising baby carrots has now become big. In Colorado, Weld County is the greatest producer of poultry (turkey, chicken, and eggs) and number one in dairy. In 2004, 43 centennial farms (same families for 100 plus years) existed in Weld County. The same signboard surprised me when it said Weld County is number two in the United States in the number of cows and calves. But the area is not just agriculture. The city’s North Colorado Medical Center is the largest hospital in Northern Colorado. Greeley is also home to two colleges and the University of Northern Colorado. Greeley pioneered in radio. KFKA, came into operation May 21, 1921. It was Colorado’s first radio station and still exists. KFKA is the nation’s fifth oldest broadcast station and did the first radio newscast. It aired the first news commentary in Colorado and introduced regular remote broadcasting. Greeley housed a Hewlett Packard plant from 1983 to 2001 which manufactured scanners and digital cameras. Eastman Kodak, State Farm, and Swift & Company currently have more than 1,000 employees each. The history relates the area’s history from the time of Native Americans through 2004. Greeley goes back to Nathan Meeker’s founding of the city’s Union Colony, a utopian colony, in 1870. The group only accepted people who were educated, temperate, knew agriculture, were religious, and stressed family values. Born in Euclid, Ohio, Meeker was former agricultural editor for the New York Tribune which Horace Greeley owned. An Indian Agent at the White River Agency, he was determined to make the Utes become farmers instead of hunters. When he plowed over the Utes’ racetrack for farmland, it infuriated them. They killed Meeker and the ten soldiers working with him and captured his wife, Arvilla; daughter, Josephine; Flora Ellen Price; and her two children. Chief Ouray negotiated their release 23 days later. Josephine’s dress, that she wore when captured, is on display at the museum. Rattlesnake Kate Slaughterback, a dirt farmer, became famous when she killed 140 rattlers October 28, 1925. She had climbed down from her horse to unlock the gate, at a pond she was visiting, to gather some wounded ducks with her 3-year-old son, Ernie. She used her gun to kill four snakes then a No Hunting Sign to bash the rest. It was two hours before she could get back on her horse. Kate knew how to cure skins and made a flapper dress out of 50 of them. The dress is now on display at the museum. James Michener is another with ties to Greeley. He was awarded a Master’s degree at the University of Northern Colorado and taught at UNC from 1936-1941. His book Centennial, published in 1974, was based on Greeley and the surrounding area. Another permanent room has a collection of Thomas Nast anti- Horace Greeley cartoons which appeared in Harper’s Weekly in 1872. That was when Greeley was running against Grant for president of the United States. Nast mercilessly attacked Greeley for two reasons. He was angry Greeley was one of 21 men who signed Jefferson Davis’s jail bond. Nast also didn’t like that Greeley failed to attack New York City’s Boss Tweed at Tammany Hall. Greeley died before the electoral votes were counted. The word “nasty” is derived from Thomas Nast. It was Nast who created the symbols of the Republican elephant and the Democrat donkey. He also created a fat Santa Claus and a lean, goateed-wearing Uncle Sam. The museum is located at 714 8th Street. It will be closed from January 2015 to April 2015 for installation of a temporary exhibit on Legos. The current temporary exhibit is on the German/Austrian P.O.W. camp located eight miles north of Greeley in 1943. It housed 3,000 prisoners, most arriving from Rommel’s North African campaign. Greeley History Museum is closed Sundays, Mondays, and Tuesdays. It’s open Wednesday to Friday 8:30 a.m. to 4:30 p.m.	On Saturday the hours are 10 a.m. to 4 p.m. Admission fee for adults is $2, seniors $1. 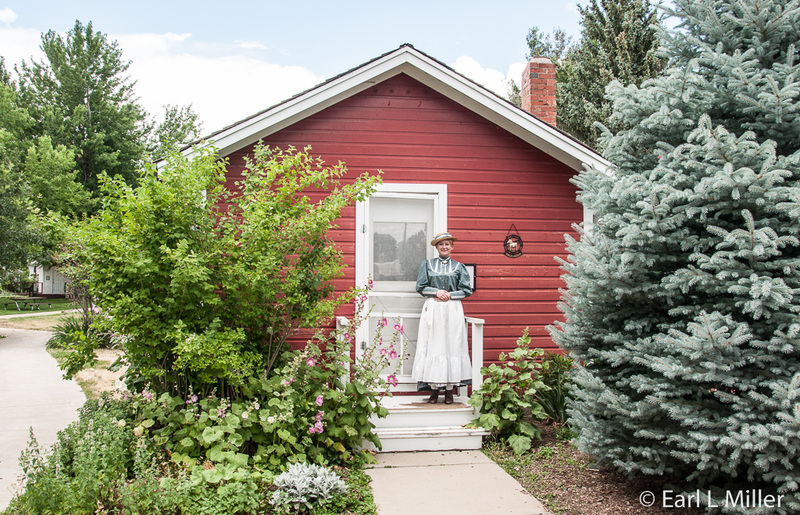 For a trip back from 1866 through the 1940's, time travel to Greeley’s 8-acre Centennial Village. Keep in mind your trip will take a minimum of three to four hours to see everything, even more time if the Village is celebrating one of their special events. Several buildings are open daily. Others depend on who is working the day you visit. Those always open include the Bolin House, Carpenter House, and Stevens-Reynolds Home. If you come at 11:00 a.m. or 2:00 p.m., you can join a tour visiting these residences. If staff isn’t busy, ask for your own private tour. We did, and Kayla Ashburn acted as our tour guide. Daniel Carpenter was one of Greeley’s Union Colonists. 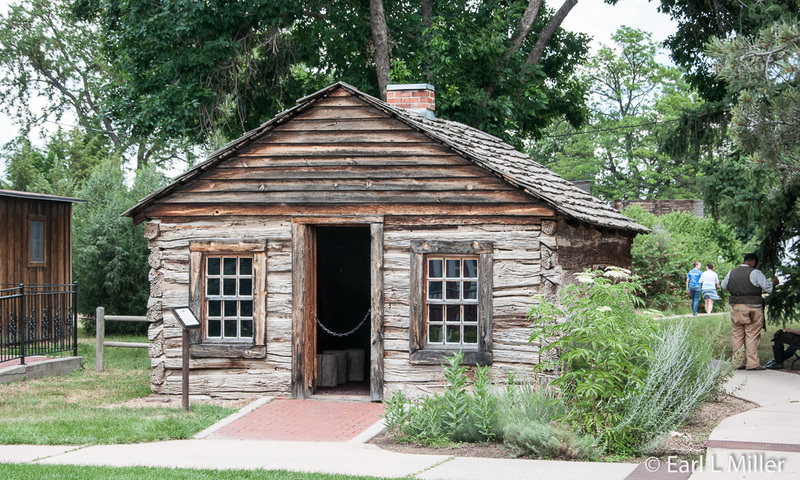 The home, which he built dates to 1871, and relates the story of an average pioneer. His three sons and wife joined him in 1872. The Stevens-Reynolds home was built in 1900, south of Akron, Colorado. 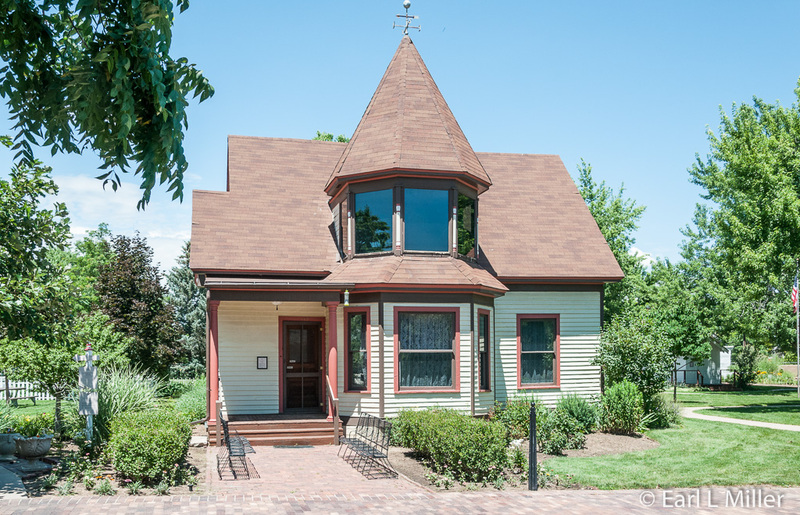 It’s a Victorian home with modern conveniences for its time including indoor plumbing and an indoor ice box. Stevens was Greeley’s tax collector and owned one of the largest pharmacies in town. Being very wealthy, he had several servants including a maid, cook, gardener, and nanny. The Reynolds family owned it from 1904-1938. This home was the village’s first acquisition. The Bolin family was a Swedish family from Southern Minnesota. He built the home in Osgood, Colorado in1909 and shared it with his wife and two sons. Other buildings which are open are the carriage house, print shop/firehouse, Rattlesnake Kate’s home, and the Montfort House. Rattlesnake Kate’s home just opened a new exhibit about her life and reptiles on the plain. The Montfort House’s “Cattle tails and Trails” exhibit is on the history of the area’s cattle industry. The Montforts perfected the feed lot system during the 1940's. Selma’s House, where you enter the village, was owned by Meeker and was one of his rental properties. It houses a small gift shop. The village also contains a log cabin from Plattesville which was the Weld County Courthouse. It served as the territorial county seat until the late 1860's. At the firehouse, you’ll spot a 1925 fire engine. Look for Rich Pierson, the village printer. 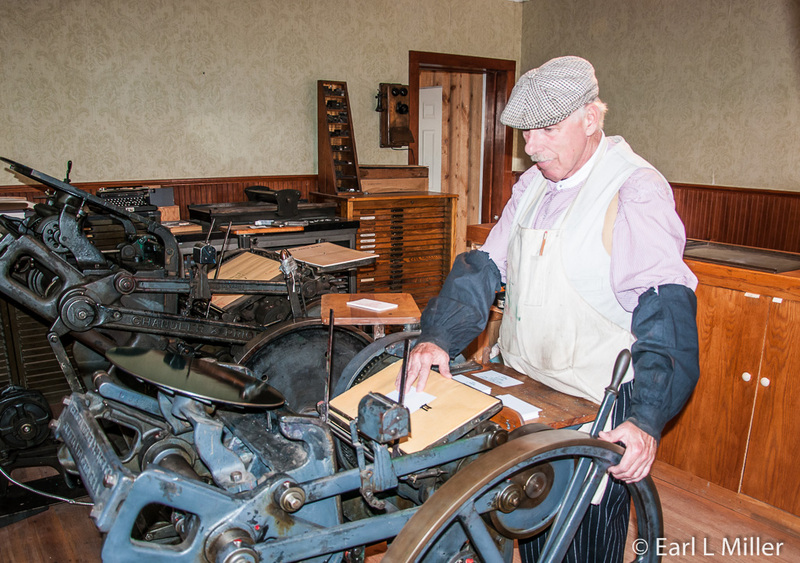 He’ll be happy to speak to you about early printing and the machines in his shop. He does his printing on Fridays. The Bullard carriage house is the “garage” for the village’s collection of horse drawn vehicles. At the Centennial barn, be sure to say “hello” to the farm animals including pigs, chickens, turkeys, goats, a cow, and a calf. At other buildings you’ll find phone numbers which you can dial on your cell phone to find out additional information about a particular structure. All, except for the eight restorations, were brought from other places within the former or present Weld County. Weld County used to but no longer extends to the Kansas state border. Perhaps, the best time to visit is during the Village’s special event days. This is when they open all the buildings and hire extra people such as storytellers, Native Americans, and Buffalo Soldiers. You’re likely to find carriage and pony rides during these times. The village is open May to September, from Wednesday to Saturday 10 a.m. to 4 p.m. and Sunday, noon to 5 p.m. On September 13, they hold Potato Day when the first 1,200 people receive a baked potato. You’ll find Centennial Village at 1475 A Street in Greeley. Admission is $6 for adults and $4 for seniors. Imagine seeing a HO model train layout roughly portraying 20.5 scale miles. At this museum in Greeley, you can. Covering 5,500 square feet, it’s the second largest layout in the country with each scale mile equivalent to 1,353 feet. 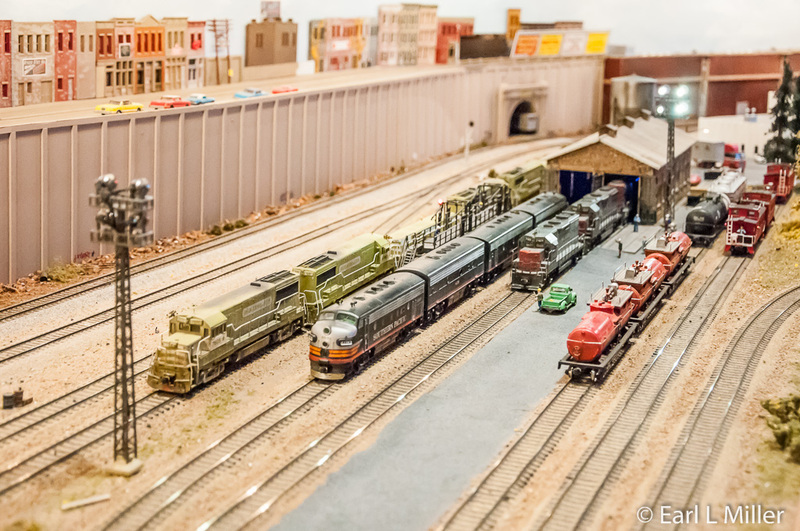 The Greeley Freight Station Museum was the dream of David Trussell in 2004. After five-and-a-half years and more than 27,000 volunteer hours, the layout was finally complete. Volunteers from as far away as Virginia and Des Moines now spend many hours as docents making sure that up to 14 trains run smoothly. The day I was there seven trains were active. Trains vary in length but most are 45-50 cars and a few are more than 80 cars. The longest is 88 cars. A 50-car train with five locomotives is approximately 35 feet long or more than one-half of a scale mile. 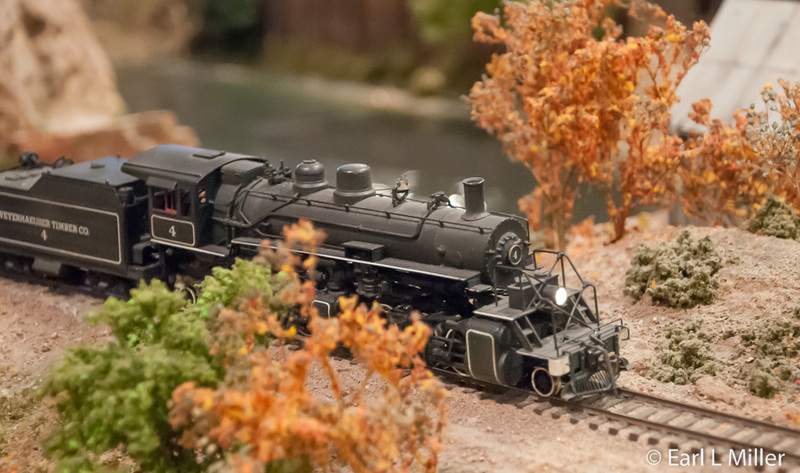 Two thousand freight cars are on the layout with more than 150 powered locomotives. 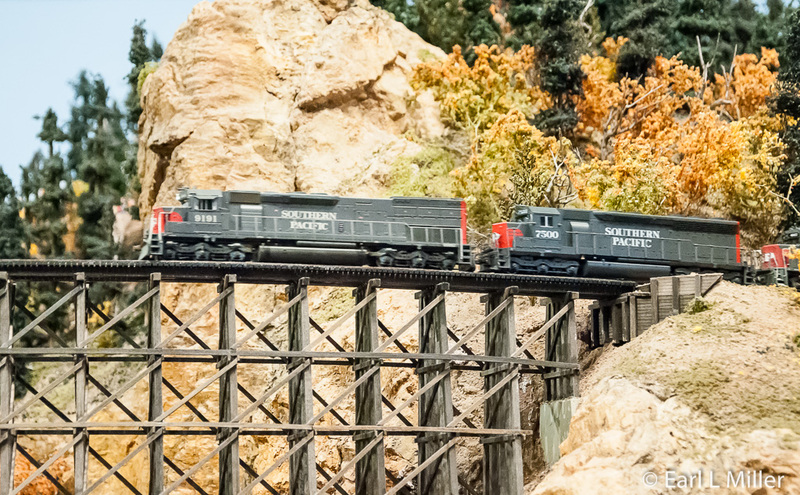 The layout is roughly based on the Oregon, California, and Eastern Railway, a real logging railway in South-Central Oregon that operated until the early 1990s. But the version is a bridge line that handled traffic from the Southern Pacific, Great Northern, Western Pacific, and Weyerhaeuser Timber Company. You’ll find Klamath Falls, Dairy, Sycan, Bly, and Sprauge River. Quartz Mountain is found on the old right-of-way while Lakeview, Dog Lake, and Gearheart Mountain were in the intermediate area. The layout is set in the fall of 1975. Stacked Styrofoam insulation board covered by plaster comprises the scenery. Dirt and ground foam covers the plaster. Rocks are made from actual castings of real rocks. The layout has 16,000 fir trees, 8,000 deciduous trees, and 4,000 aspens - all handmade. The fir trees’ trunks were composed of skewers then painted. The pine is constructed from industrial bristle which is painted then glued to the skewers. The layout has twelve tunnels and fifteen bridges on the mainline. It is run by a dispatcher with radio communication with each train’s engineer. The dispatcher controls 150 signals on the railroad. Each locomotive has programmable decoders with all trains having two locomotives in case one fails. Besides the layout, there are other items to explore. 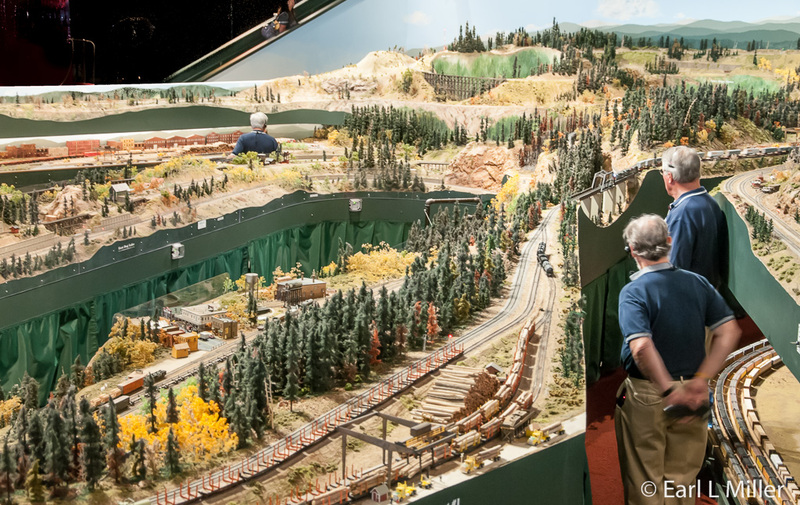 Check out the Lionel “O” gauge display or the timetable schedules of a number of lines. Many of the railroad sleeping car towels have their lines imprinted on them. They also have railroad lanterns, ship models, and passenger coach seats. Youngsters can explore the hands-on children’s layout while you climb inside the full-size caboose. It’s reported to be the last operational wooden caboose on the Colorado and Southern Railroad. The railroad is located at 680 10th Street in Greeley. Admission is $8 for adults and $6 for seniors. Hours are Memorial Day through Labor Day, Wednesday - Saturday 10:00 a.m. to 4 p.m. and Sunday 1-4 p.m. Winter hours are the same except open only Friday through Sunday. I learned this from Rich, the printer, at Centennial Village. In a printing shop, capitol letters were put in the upper drawer with uncapped letters in the lower drawer. That’s why these letters are called uppercase and lowercase respectively.